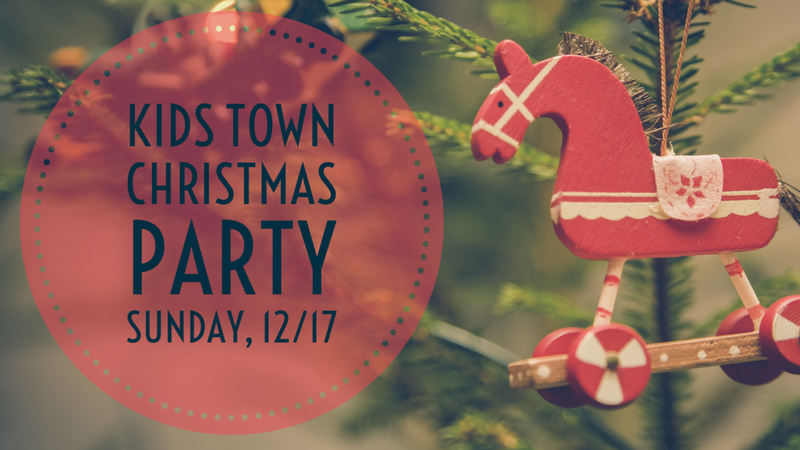 Kids Town will be having our annual Christmas Party on Sunday, December 17th during the morning service. We are asking that each family sign up to bring something this Sunday at the Kids Town kiosk. We'll have games, fun, and a gift for everyone. It's for grades K-5th. The younger kids will party too, but they don't need to bring anything. Come ready to celebrate!